Bunions are a ‘boney lump’ commonly found on the side of the foot or base of the big toe, which can be unsightly, make wearing shoes difficult and be painful for some. Many wish for bunion treatment, but are unable to have the traditional surgery, due to the long downtime involved. The Private Clinic discuss their new minimally invasive, revolutionary bunion treatment, available nowhere else in the UK, allowing people to continue their day-to-day activities. The main bunion removal procedure has traditionally been a surgical procedure that requires approximately 6 weeks downtime. In this duration, walking is limited, working is restricted, and participating in any sports is forbidden. For many of us, this halt on our everyday lives means this surgery is not an option. Therefore, some with the troublesome condition have to rely on intermediate measures, such as wearing bunion pads, or wider shoes. And while these temporary remedies may alleviate some pain and prevent bunions developing, they are not able to treat or remove bunions or decrease their size. Changing bunion treatment entirely, The Private Clinic have introduced a new minimally invasive bunion removal surgery which allows patients to continue their daily lives as normal. Patients can walk straight after their treatment, without the aid of crutches, and resume other day-to-day activities a lot faster than with the traditional surgery. The exclusive surgery also does not require the use of fixative devices, such as wires, screws and plates and has a 98% success rate while achieving outstanding results with minimal scarring. The new treatment is performed by The Private Clinic’s bunion treatment expert, Dr Bianchi. Founder of PBS, which developed percutaneous bunion surgery in 1996, Dr Bianchi undertakes approximately 1,700 minimally invasive bunion treatments a year and has been performing bunion operations for 15 years. How does minimally invasive bunion surgery work? The Private Clinic’s minimally invasive bunion surgery uses the technique of keyhole surgery (minimally invasive surgery performed through a tiny incision, using special techniques and instruments). In the surgery, 2 to 3 millimetre incisions are made within the skin, to insert small surgical dental burrs (tools used to cut hard tissue/bone), which are used to reshape the foot and correct the deformity. In order to be able to see the bones and surgical burrs during the keyhole surgery technique, the surgeon will use a special radiological device. After surgery, your foot will be bandaged until your post-op-check which would be in a few weeks time. Your recovery with The Private Clinic’s bunion removal surgery will be smooth and easy in comparison to the traditional surgery. Your post-operative pain and aftercare is very minimal. However, for all aftercare involved, you will be provided with detailed aftercare instructions. You will be encouraged to put weight on the treated foot shortly after your procedure, after confirmation from your surgeon, and will be encouraged to walk around regularly, in order to help the bones heal to the appropriate physiological readjustments. Also, no physiotherapy or type of walking is required during your recovery. For a few days of your recovery process, you will need to wear a specialised Orthopaedic shoe that The Private Clinic will provide. Once confirmed by your surgeon, you are able to resume wearing your normal shoes, although it is advisable to wear comfortable, well-footed shoes in order to prevent bunions developing again. For patients who wish to resume wearing high heels, these can be worn 2 months post treatment. It is also recommended that patients wait until they can resume wearing their usual shoes (instead of the orthopaedic shoes) till they resume driving. And in some cases, patients insurance could be invalidated when driving too soon after surgery. Hammertoe is a condition that can be caused by pressure from bunions (as well as other factors), causing the second, third, fourth or fifth toe to curl upwards, or bend permanently, and which can be treated within the same procedure as the new minimally invasive bunion surgery. Although mild cases of hammertoe can be resolved with leather, rubber or silicone splints, and comfortable shoes can ease the pain, the only way to fully resolve the condition is through surgery. To find out more about The Private Clinic’s exclusive new bunion treatment and answers to bunion treatment FAQs, see bunion removal before and after’s, and more click here. The Private Clinic provides free bunion treatment consultations with patient advisors, who can provide useful information and answer any questions before meeting a surgeon. Patient advisor consultations are available in Birmingham, Leeds, Manchester, Buckinghamshire, Bristol, Glasgow and Northampton. 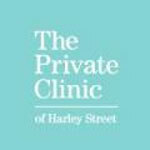 And consultations and treatment with Bunion Specialist, Dr Bianchi are available with The Private Clinic in London, Harley Street. To arrange a bunion removal consultation with a patient advisor or Dr Bianchi please call 0333 920 9135 or request a consultation via their website.